Conquer the terrain like a savage. Available Sizes: 50" W by 17' L.
With the growing demand for surface drives in the flooded timber we have been seeing our motors used more and more in these types of applications. It’s only right that we design and build the perfect boat to match up our motor for flooded timber hunting. That’s exactly what the Savage Series is…Gator Tail’s version of a tight timber boat. The Savage Series will come in one standard size and layout. 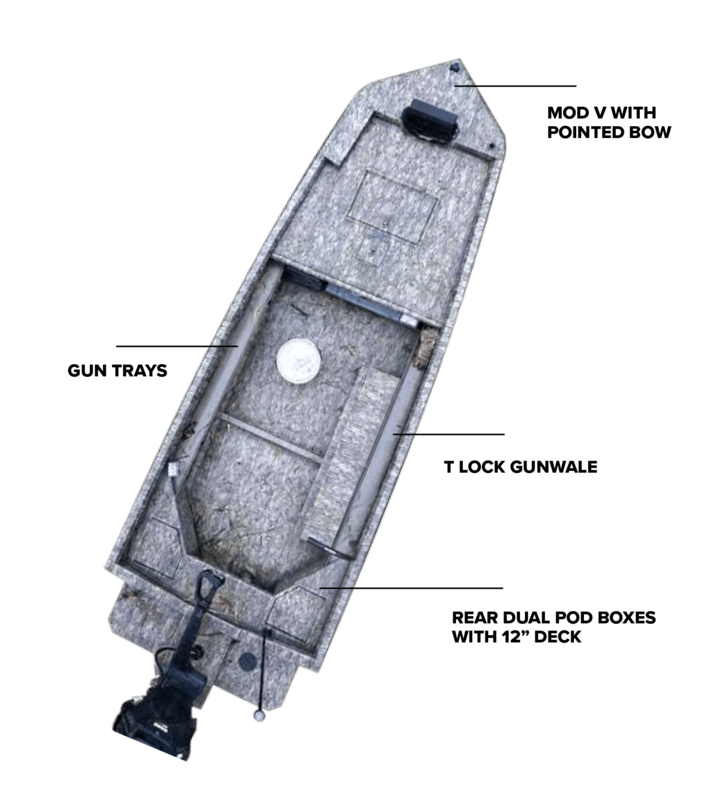 The hull is 17’ long and 50” wide. It has dual rear pod boxes, gun trays, accessory rails, and rub rails.